Source Description: Before coming to the United States in 1850, the German-born Kaufmann studied painting in Düsseldorf and Munich and fought in the 1848 popular uprisings in favor of national unity for Germany. 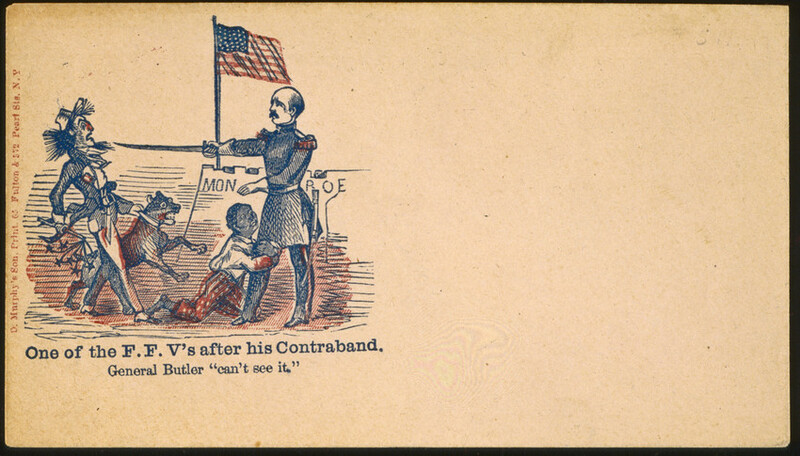 As a Union soldier in the American Civil War, he may have seen retreating Confederate troops take their adult male slaves with them, leaving behind the women and children. 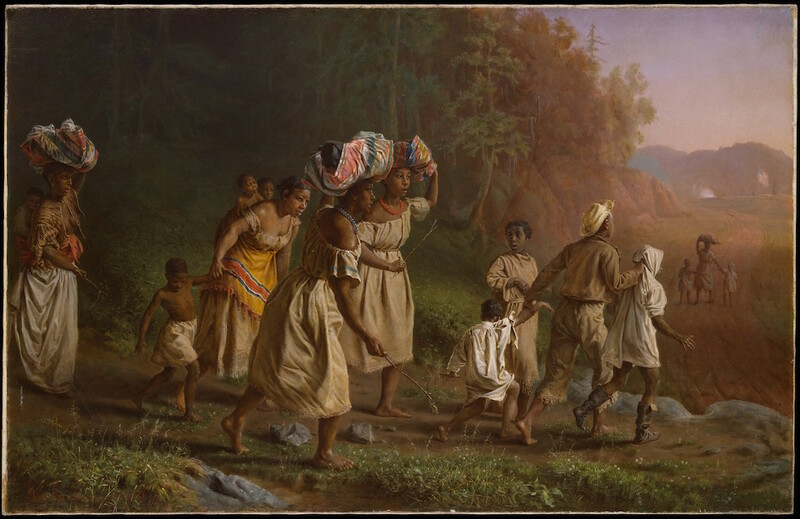 Here, his portrayal of a group of fleeing figures suggests the lack of a clear route to liberty. They emerge from darkness into light but must traverse a rockstrewn path before arriving on the smooth road leading to the Stars and Stripes, which, however, remains frighteningly close to the ongoing battle. In November 1860, on the eve of secession and Civil War, Georgia governor Joseph Brown confidently predicted that “we (white southerners) have… little cause of apprehension from a rebellion of our slaves.” He was responding to concerns that a civil war might provide opportunities for slaves to rebel for their freedom. 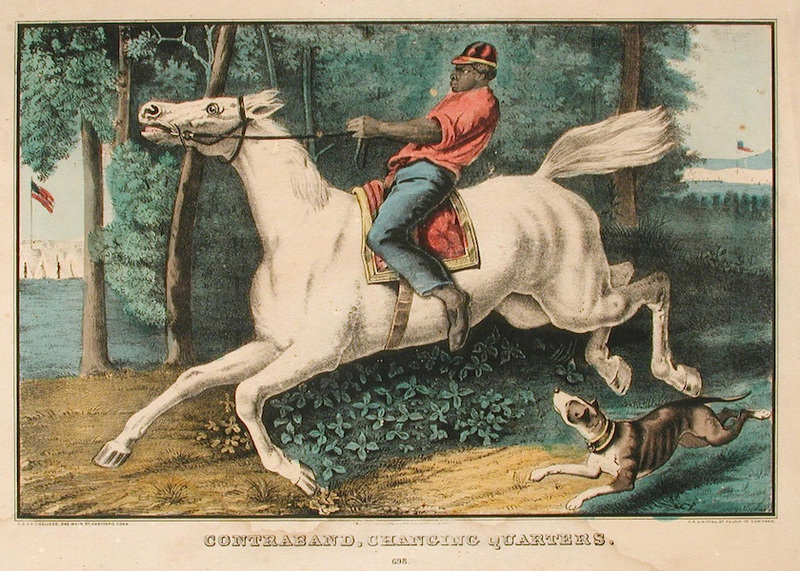 Additionally, he noted, “nine-tenths of them are truly and devotedly attached to their masters and mistresses, and would shed in their defense, the last drop of their blood.” For all to these reasons, Brown saw no reason to worry about the slaves. That was in November 1860, six months before the Civil War began at Ft. Sumter, South Carolina. 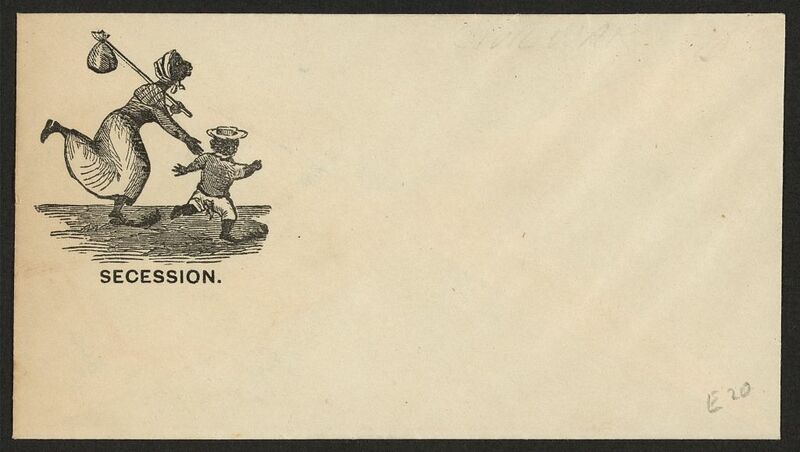 A year and six months after the attack on Ft. Sumter, during which the Confederacy and the Union were engaged in a bloody war, a group of Georgians sent a letter to the Confederate government that, if he saw it, would certainly have caused governor Brown great concern. Writing from Liberty County, which is positioned along the Atlantic coast near Savannah, the concerned citizens complained that by August 1862, 20,000 slaves had fled to Union lines. 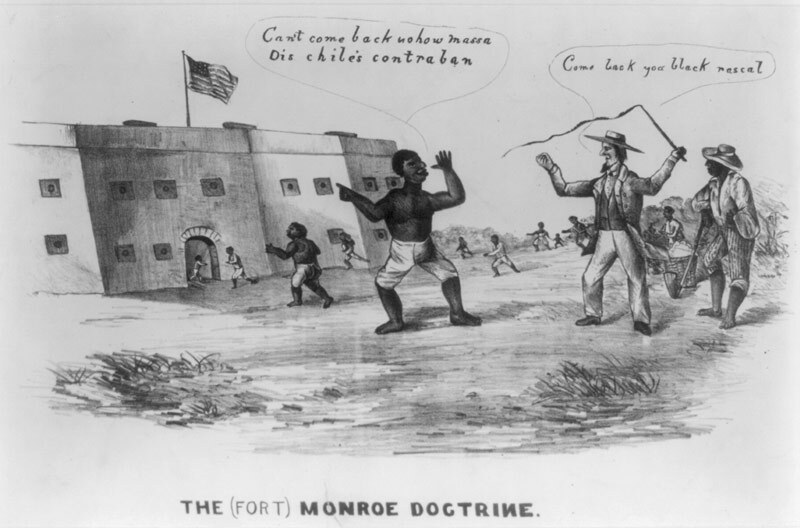 The runaways were giving “aid and comfort” to the enemy by “erecting fortifications and raising provisions” for the Union, acting as spies and guides, even by being “pilots to their vessels on the waters of our inlets and rivers.” This was not only a loss of labor and assets, but it “demoralized” the remaining slave population.